A browser based game creation toolkit. 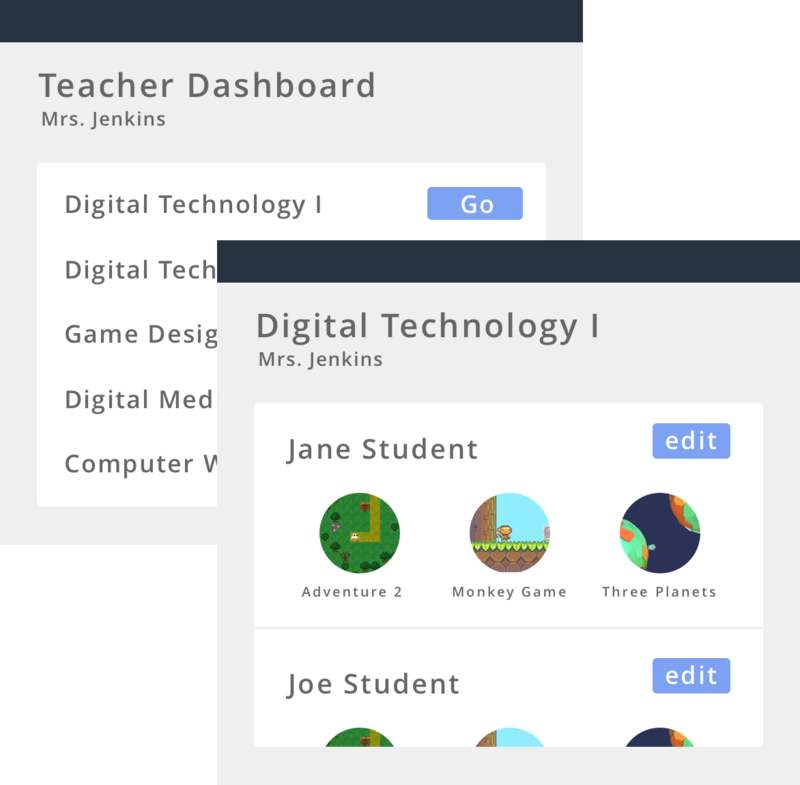 It includes everything required for students to design, build, & program their own games, with no installation needed. Custom game logic is programmed using the included visual logic builder. 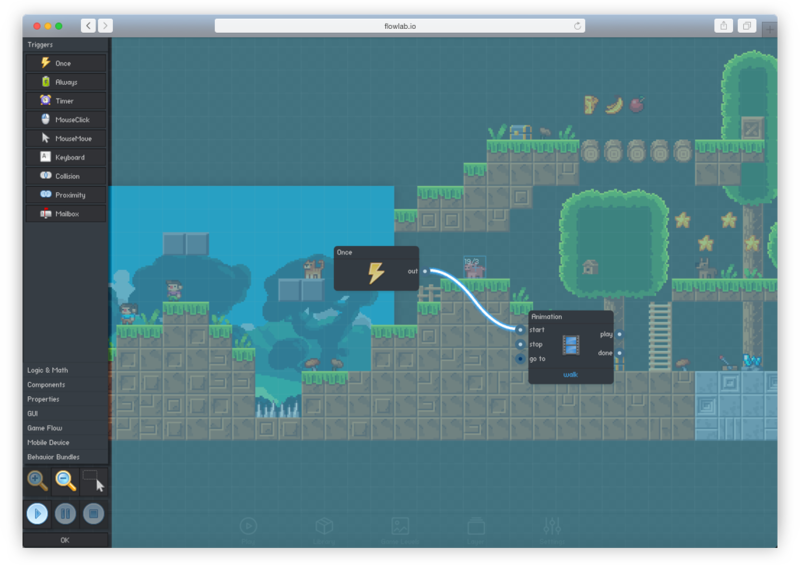 The drawing and animation tools enable students to design their own game art. Provides a student led experience, where students can build and learn at their own pace. Purchase orders are accepted! click here to submit P.O.